We love this wrap! 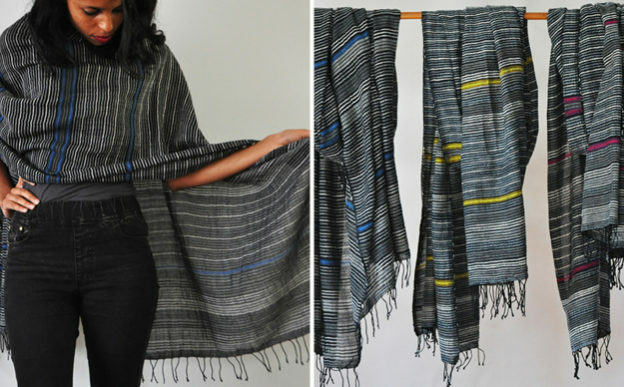 It is a wonderful weight and 100% luxurious Ethiopian cotton that gets softer and softer. The style is a re-imagining of our very popular Deborah wrap. This is a shawl you take everywhere. Wrap up in it on the plane, movie theater, restaurant and look incredibly stylish. Grays with a bright shot of navy, chartreuse or hot pink. Fabulous year round. Hand wash.